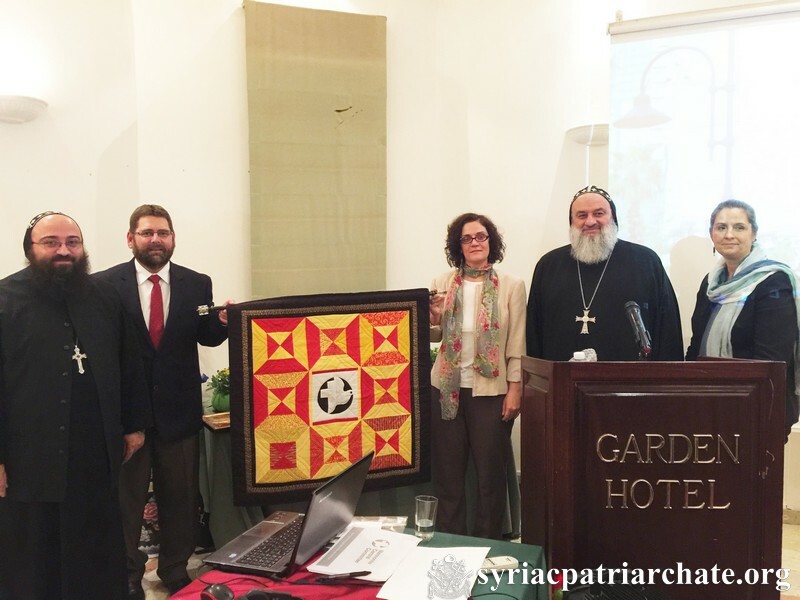 His Holiness Patriarch Mor Ignatius Aphrem II participated in the celebration of the 25th Anniversary of the Mennonite Central Committee (MCC) work in Syria, held in Brummana – Lebanon. His Eminence Mor Timotheos Matta Al-Khoury, Patriarchal Vicar in the Patriarchal Archdiocese of Damascus and General Manager of EPDC, and Very Rev. Raban Joseph Bali, Patriarchal Secretary and Media Office Director, accompanied His Holiness to this event. Mr. Shady Sarweh, executive director of EPDC, as well as Rev. Fr. Luka Awad (Homs) and Rev. Fr. Boulos Malki (Hama), participated in the workshops organized for this occasion. The MCC representatives in Syria and Lebanon gave an overview of their work in Syria for the last 25 years. They also thanked all their partners, especially the Syriac Orthodox Church who was the first to work with them in Syria. His Holiness spoke about the different projects that the Syriac Orthodox Church and MCC implemented together. He also spoke about the role of MCC in the teaching and education as well as the larger humanitarian projects they executed in Syria. At the end of his speech, His Holiness gave the representatives of MCC a shield of honor in appreciation for the cooperation in the service of humanity. In turn, His Eminence Mor Timotheos Matta Al-Khoury, also spoke about the cooperation of EPDC and MCC in the service of the needy and in the relief and post-trauma help in Syria. This entry was posted in News and tagged Brummana Lebanon, EPDC, His Holiness, Shady Sarweh, Syriac Orthodox Church by Orthodoxy Cognate PAGE. Bookmark the permalink.